Strawberry season is upon us and what a treat that is! All fruits and vegetables taste better when they’re in season and haven’t been shipped half way around the world before they reach our supermarket shelves! 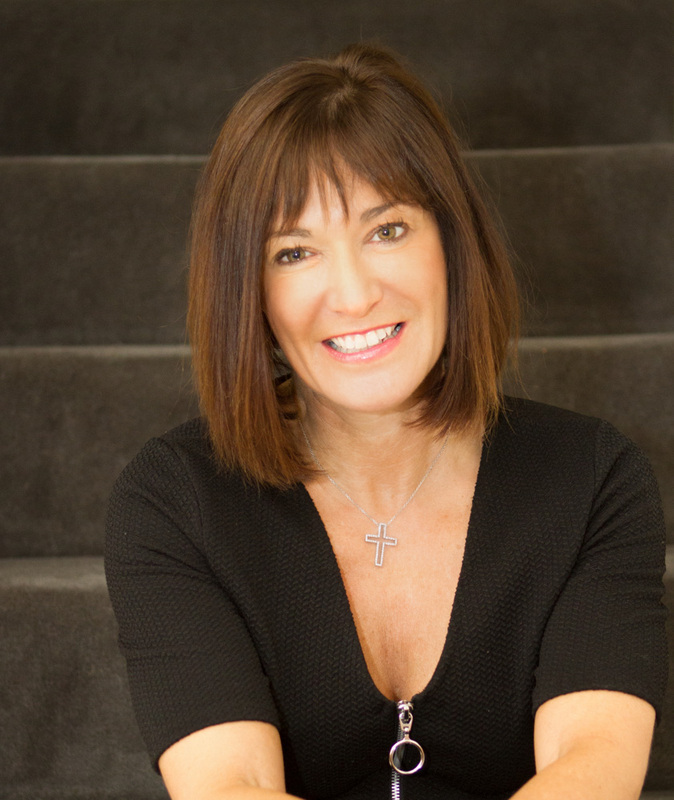 Clinical Nutritionist, Suzie Sawyer, shares some interesting facts about strawberries, plus some delicious recipe suggestions. Strawberries are similar to Superman; they wear important items on the outside rather than the inside! Unlike any other fruit or vegetable, strawberries wear their seeds on the outside and there can sometimes be as many as 200 seeds on each strawberry! Strawberries have a higher vitamin C content than other berries and a serving of 100g contains only 27 calories. They are known to be low glycaemic which means they don’t have an adverse effect on blood sugar levels, making them a great choice if you’re trying for that summer body! Their GI is much lower than other fruits such as bananas, apricots, pineapples and watermelon, hence they’re a much better choice for a weight-loss campaign. Their rich vitamin C content rates them very highly as being a great source of anti-aging and anti-inflammatory antioxidants. So they’ll help protect you against sun damage (don’t forget your sun cream too) and keep your joints supple if you’ve been overdoing the gardening or exercise during the sunny weather. However, the antioxidant protection of strawberries extends far beyond their high vitamin C content; they contain an impressive wealth of polyphenols (plant compounds with incredible health benefits), which gives them iconic status in the health stakes. Interestingly, it would seem that top chefs are now using slightly under ripe strawberries in their dishes. Whilst this may be for aesthetic reasons, displaying both green and red colours, some of the health benefits of strawberries are actually lost when they’re too ripe. So it’s actually a good idea in terms of nutrition too. 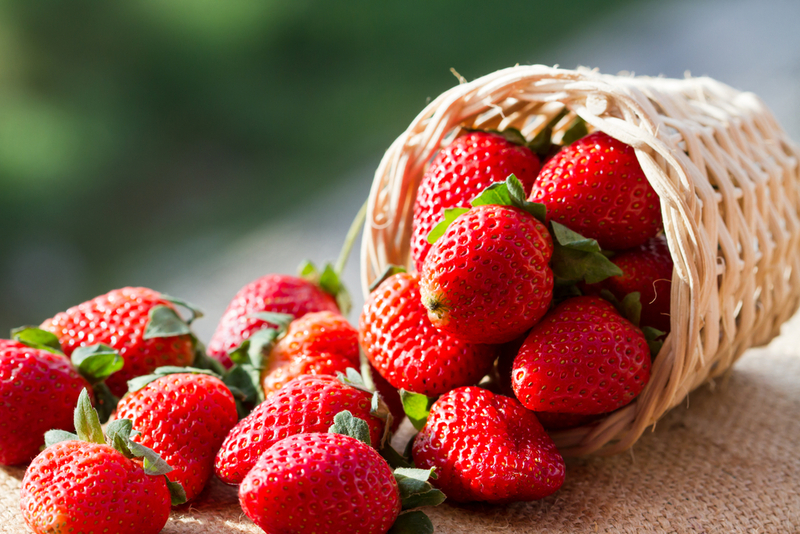 As with most foods, there is plenty of folklore surrounding strawberries. Even back in 1653, the famous herbalist Culpeper realised they provided many curative properties. For example, they were found to be a potent cleanser for the digestive system and also a mild tonic for the liver. Therefore, strawberries are great to include in a summer detoxification programme particularly if you’ve been enjoying a few outdoor parties! Plus they’ve also been used to help joint issues, particularly gout. Obviously, they’re great simply served with a dash of cream or ice cream. However, if you want to enjoy them as part of your healthy diet, then they’re great whizzed into a wonderfully healthy smoothie, with blueberries, half an avocado and some coconut milk. Plus, if you’re looking for the ultimate power breakfast, then why not add some protein powder, such as pea or hemp, and it’ll keep you going through until lunch time. Alternatively, you can actually make some relatively healthy strawberry ice cream using low fat condensed milk and 0% fat Greek yoghurt. 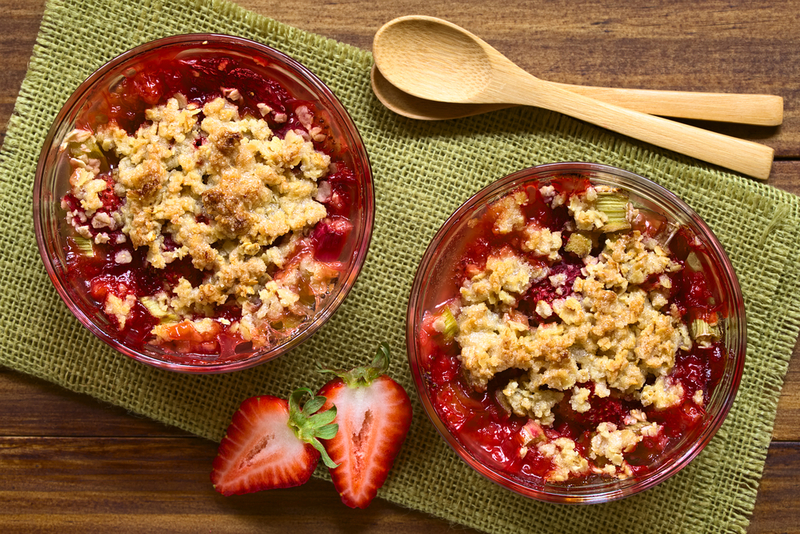 Strawberries work well in either sweet or savoury dishes. For example, strawberries make a welcome addition to a salad with feta cheese, bacon and toasted pine nuts. 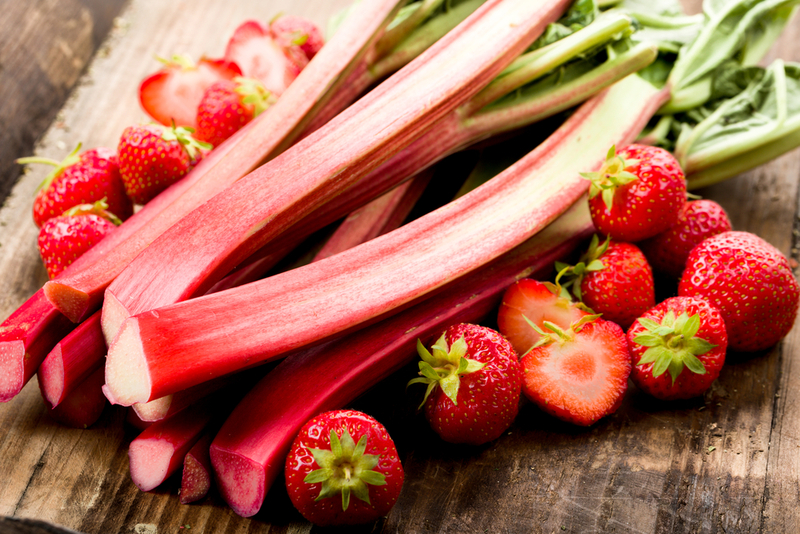 Traditionally strawberries work best in slightly decadent sweet dishes such as Eton mess or cheesecake and combine well with other fruits such as rhubarb in a pie or simply dipped into melted chocolate! It’s worth noting that some people suffer from allergic reactions to strawberries and can develop hives. The rash is the result of excess histamine triggered by a substance in the fruit. This seems to be more common when the fruit hasn’t ripened sufficiently on the vine. This reaction happens pretty swiftly after you start eating them, so you’ll know they’re the culprit. However, the rash usually disappears quickly when you stop eating them. Additionally, strawberries are high in salicylates so shouldn’t be eaten by people who are hyper-allergic to aspirin. 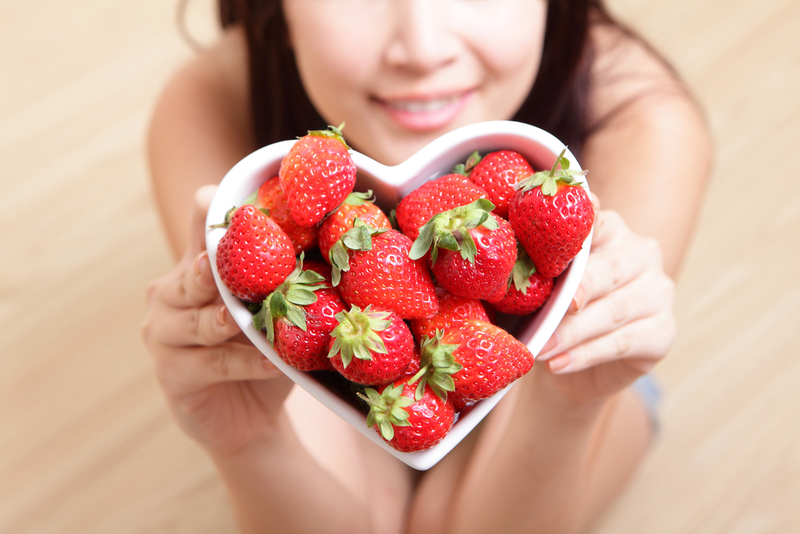 So enjoy strawberry season and try out these nutritious dishes.